This evening, Digbeth Dining Club is relaunching for the year following their brief hiatus after their New Years Eve party. The weekly streetfood market that takes place at Spotlight in Digbeth will return for four days a week (as opposed to its previous three), every Thursday to Sunday to host a variety of food stalls and live DJs. 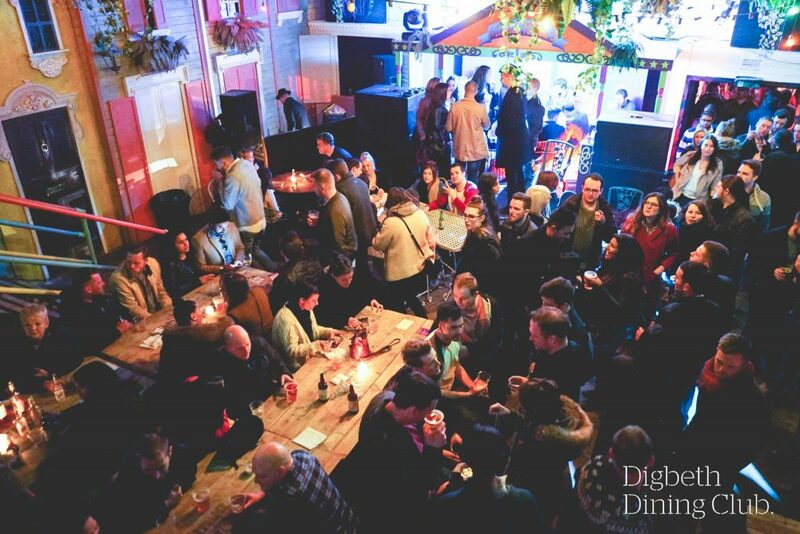 New for 2019, Digbeth Dining Club have announced that ahead of their “busiest and biggest year to date”, they will be making Thursdays their meat-free night where there will be a designated meat-free section that will serve vegetarian and vegan food, alongside the standard DDC setup. This follows their successful ‘NO BONES’ events that they trialed monthly last year. In addition, DDC will also be launching Digbeth Records on Friday (25th January). The weekly pop-up record shop will be the newest addition to Lower Trinity Street, and will sell new and used vinyl. The store will be located above Cafe Colette and will coincide with the DDC events. There upcoming events and lineups can be found on their website.